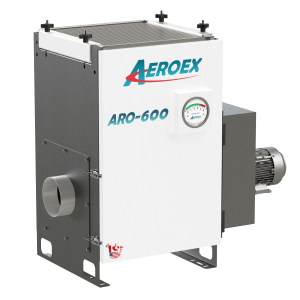 The ARO line of filtering systems offer more efficient filtering with higher separation rates. 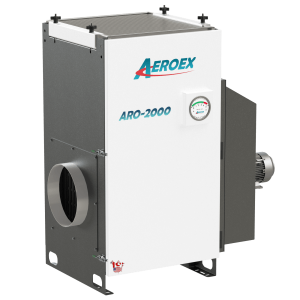 With a strong HEPA filter that filters 95% at a 0.3-micron standard, your facility will be breathing easier, operating well above industry air quality. Compact and big on performance! 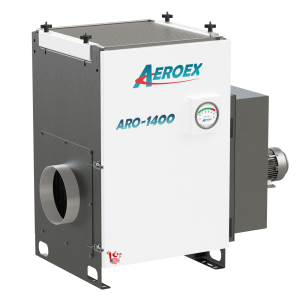 Mist-Fit, new to the Aeroex product line! A clean facility is a functional facility; a clean environment will result in higher productivity and quality for you and your employees. High-quality oil mist eliminators provide the best results. Exposure to contaminated air leads to health problems, absenteeism, and increased equipment and facility maintenance. Oil mist eliminators work to reduce and perhaps wholly eliminate the probability of this happening to your employees in the long or short-term. This means that your facility will enjoy benefits such as improved output, efficiency, productivity, and higher employee satisfaction levels, which are all signs of a truly great facility. Don’t be misled by efficiency claims. We exceed today’s air quality recommended limits of 0.500 mg/m3. 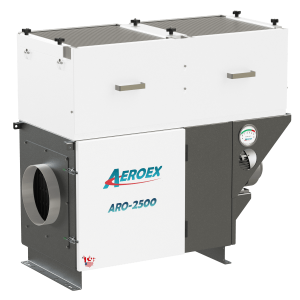 Our oil mist eliminators are among the most highly-regarded units of their type in the local industry. Let our sales experts show you the oil mist eliminators that are right for you! 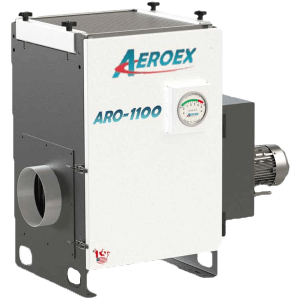 View our ARO series Multi-Stage Oil Mist Collectors Brochure (PDF) or view our accessories.